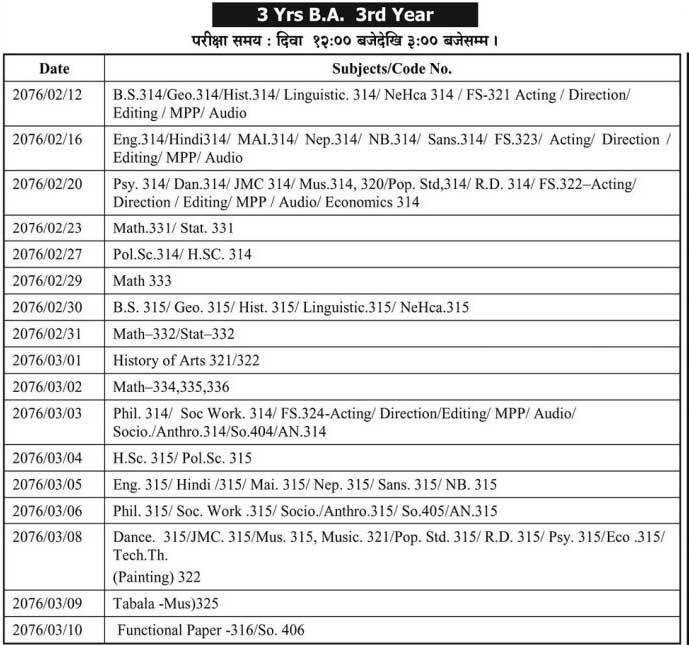 Tribhuvan University, office of the controller of examination, Balkhu has published examination routine of 3 Yrs BA (Humanities) 3rd year 2076. This routine is applicable for regular as well as private students (both full as well as partial). The examination of 3 Yrs BA 3rd year 2076 starts on 2076/02/12 and ends on 2076/03/10. The examination time is from 12:00 pm to 3:00 pm.